SALE! Very rare color in this popular 707 series "Sun Ray" five-tube radio. Mint to start with, it was disassembled, inspected, polished and detailed to the highest level. Plays very well, all original with no cracks or chips or cabinet repair. 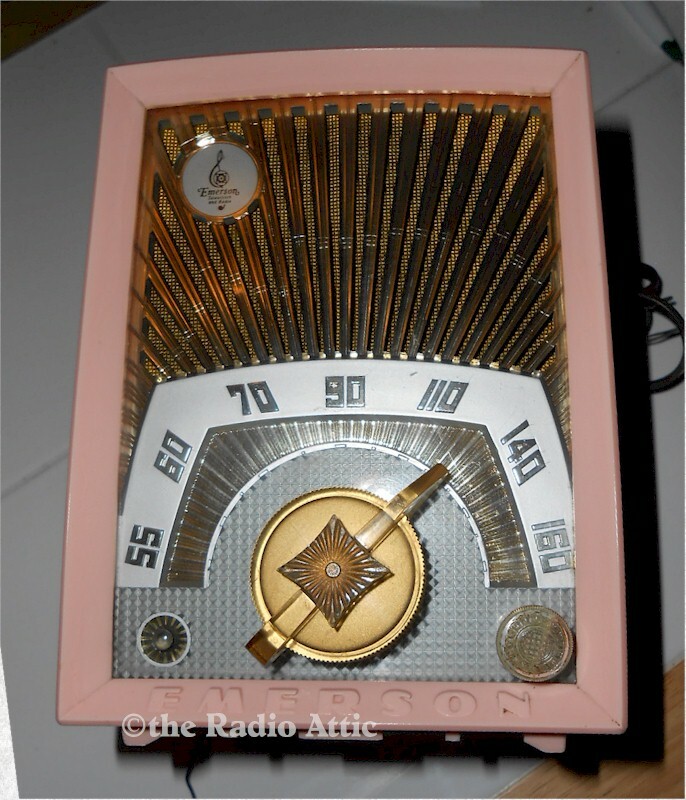 If you have been searching for the finest example of this radio, You would be hard pressed to fine one nicer. Was $295.00, now $236.00. You are visitor number 490 to this page.